PUNE: The civic body's heritage cell has awarded contracts to remove the oil paint from the walls of listed heritage structures to improve the life of the stones and restore the original look to the buildings. The work of peeling off the paint from the walls of Omkareshwar temple, one of the oldest Shiva temples in the city, is currently underway. The stone walls of the ancient temple were damaged by coats of oil paint over the years. Head of the heritage cell Harshada Shinde said the removal of the oil paint is part of the restoration work going on at the site. "Omkareshwar temple is a heritage site in the city. Such sites cannot be painted as it damages the old structure. Over the years, people visiting the temple, have painted the walls and we have initiated a process to remove the paint," she said. Contractor Jagdish Goyal, who is engaged in the removal of paint, said, "Paint on the walls reduces the life of the stones used to construct the structure. Devotees visiting the temple would paint something or the other on the walls which has impacted the stones. We are removing the old paint to retain the original stone facade of the temple." Vishal Gharat, who works with Goyal, said, "We mainly use only water to remove the paint from the walls of heritage structures. Jets of water dispensed by high pressure machines are used to clean the walls. In extreme cases, we have to use caustic soda to remove the paint. The life of the stones is not affected by this chemical. We have already completed one such job at Nageshwar temple in Pune about a year-and-a-half ago." 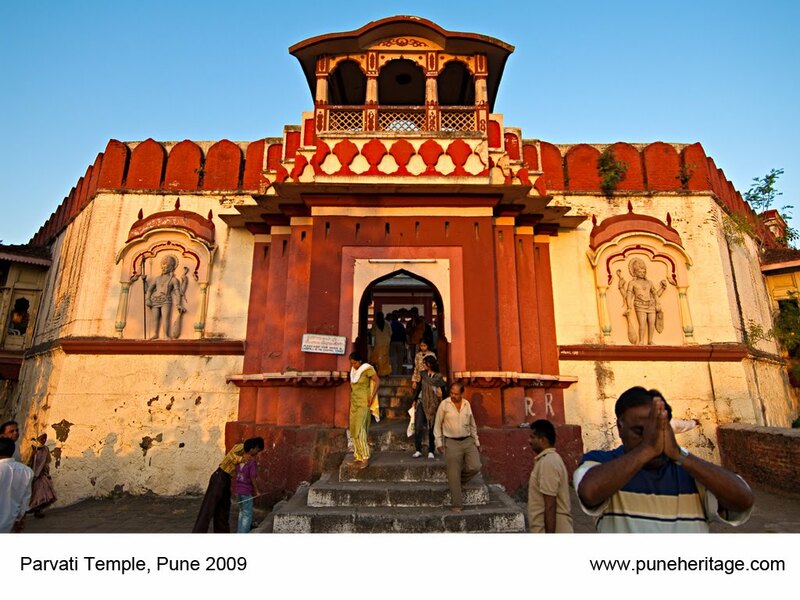 Shinde added that the Trishunda Ganapati temple in Pune was restored in the same way. "There is no budgetary provision. So, we have been unable to undertake more such restoration works at other heritage sites in the city. Once we have allocated funds for the project, we will start on the other sites. A proposal for such restoration at Nanawada is ready. Work will start after funds are allotted," he added.